Whether you are operating a stores, supermarket or a bank, then you need to consider how you deal with coins. Sometimes, the number of coins can be overwhelming to count manually. That is why it is essential to for a business to invest in automatic coin sorter counter. These are machines that are able to sort out and count various coins. Counting coins manually is very difficult for the business to operate smoothly. In fact, it makes work at the business very difficult. In most cases, the pace which the customers are served is very low, and that means low profits to the company. For the business that counts manually, they may also need to employ more people. In simple terms, that makes the overall operation of the business quite tricky. But with an automatic coin sorter counter, you will be able to streamline the performance of your business. Counting manual is prone to errors that can affect the inaccuracy in cash management. It is possible to count the wrong coins hence affecting the overall accuracy of the cash in hand. But with an automatic coin sorter counter, that will not be an issue. 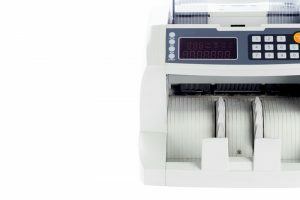 These machines provide 100% accurate figures for the coins. Some of the advanced coin counters, such as Feelteck coin counters, give a total count of all coins. Therefore, you will never have a problem inaccuracy. The pace at which you serves each customer very important. No customer will be willing to spend a ridiculously long time to be served in a store just because it takes time to count coins. That is a bad experience that scares the customers who need to spend the shortest time possible. It also means that you will be serving a few customers. But with an automatic coin sorter-counter, it takes very little time to count any amount of coins. Feelteck coin counter machines can count up to 300 coins in a minute. Many people may not know that money including coins are very dirty. Having had been passed through many hands, they a leading carrier of many jams. That is why you should avoid handling cash with bare hands. But that is a difficult thing to do in an ideal situation. That is why investing in an automatic coin sorter counter is a great way to improve your hygiene. You will avoid handling cash directly. With an automatic coin sorter counter, the business can reduce the overall cost of labor. For banks, the number of cashiers is significantly reduced. That will significantly increase the overall profitability of the machine.